Given the growing need for ubiquitous connectivity, we are expecting more developers to start building hybrid connectivity solutions that include satellite services. When it comes to delivering innovative communications anywhere in the world, taking satellite services to end-users in the form of software, hardware and applications is just as important as large satellite infrastructure investments. Cities around the world are starting to explore or even embrace smart solutions based on Internet of Things (IoT) technologies to function effectively in order to address challenges posed by ageing infrastructure, limited funds, or scarcity of natural resources. The need for powerful and universally available satellite-based connectivity has never been more critical. Those who are able to stay truly connected will in turn be able to thrive as they access, analyse and apply insights to make intelligent and well-informed decisions. The good news is that satellite communications services are no longer a premium service that is only available to or afforded by large organisations. In fact, satellite communications has emerged from its traditional role as a niche and expensive connectivity solution and is now entering the mainstream telecommunications market to help businesses and individuals in remote areas be connected regardless of time or location. Yet, there are many more opportunities for satellite communications in the digital society to be realised. By encouraging the creation of new applications and services that can run across a space-based mobile network, businesses and city leaders will be able to better capitalise on information sharing with speed and ultimately drive economic growth, sustainability, and operational efficiency. 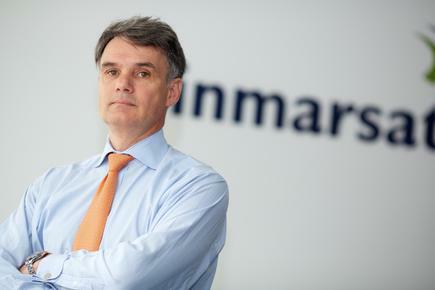 In order to do so, Inmarsat has been a strong advocate of an open technology platform, where developers are able to share and convert their ideas to change the way satellite communications are implemented on land, at sea and in the air. Since 2015, Inmarsat has been harnessing a culture of innovation by opening up our platforms to developers. We believe that by building strong relationships with the developer community and providing a space where they could convene and invent new applications and services, we are able to help bring satellite communications connectivity closer to people and even build cities of the future. This year, we are gathering the very best talent from Inmarsat’s ecosystem at the Inmarsat World Conference, taking place in Lisbon, Portugal from 6 to 8 November 2017. For the first time, we are bringing our 1000-plus strong community together, from sales to software developers, equipment manufacturers to regulators, component to solution suppliers, plus hand-picked end customers whose challenges are shaping our industry. It is an opportunity for this diverse group to share latest developments, listen and exchange insights on industry trends shaping the satellite industry to innovate and create satellite-enabled solutions. We have also been investing heavily in the creation of software and hardware toolkits aimed at enabling developers to integrate satellite capabilities into their solutions. Given the growing need for ubiquitous connectivity, we are expecting more developers to start building hybrid connectivity solutions that include satellite services. In this respect, Inmarsat has been working with organisations as well as startups to improve communications in industries including agriculture, energy, mining, transport and fishing. With technology today playing a greater role than ever to improve efficiency and productivity, satellite communications services are increasingly being introduced and leveraged for information sharing and collaboration. This is especially crucial in the fishing industry to ensure that a Catch Documentation and Traceability (CDT) system is in place to combat illegal, unreported and unregulated (IUU) fishing and seafood fraud. To improve communications for fishing vessels in Southeast Asia, USAID Oceans is currently working with Inmarsat to help crew members on medium and large vessels integrate existing monitoring systems and CDT data with Inmarsat’s Fleet One and IsatData Pro technology, a global two-way messaging service for tracking and monitoring ports and vessels. Almost any industry cannot avoid the impact of digitalisation today; the mining industry is no different. Traditional mines will convert to ‘smart’ mines in the future, heavily dependent on automation, robots as well as the Internet of Things such as drones and wearables. Consequently, connectivity will not only be instrumental but also fundamental in ensuring seamless communication between field workers and connected things in order to allow better acquisition of real-time insights from data for increased efficiency and productivity. Inmarsat works with Auxilium Systems, an Australia-based Mining Equipment Technology & Services (METS) company that designs satellite-enabled software and hardware solutions. Together with Auxilium Systems, we have designed several digital applications to automate previously labour intensive activities. One of their key applications has enabled the remote monitoring and operation of ancillary equipment such as light towers, dewatering pumps and generators. This application automatically starts and stops over 170 assets, 365 days of the year across seven mine sites throughout Australia, all within 15 seconds with no human intervention – a significant decrease from four hours per day, per site. The same application also monitors fuel levels, engine service intervals and alarms saving each mine site in excess of $250,000 on labour, vehicle and servicing costs. A second application monitors bulk fuel, oil and water on eight mine sites, providing real-time tracking of fluid levels and negating the need to manually dip various tanks. This was a task which would usually take up to two to three hours per day, per site due to the vast distances. With industries rapidly undergoing digital transformation and deploying the Internet of Things, applications that can run across a space-based mobile network will increasingly become essential and ubiquitous – ultimately changing the role of developers, who will no longer just be building applications for consumer mobile needs but also for businesses. We hope to maximise these opportunities by working closely with the developer community to create new applications and services in order to drive economic growth, sustainability, and raise operational efficiency, especially since Inmarsat’s Global Express (GX) network, the first and currently only globally available high-speed broadband service in the world, became commercially operational. 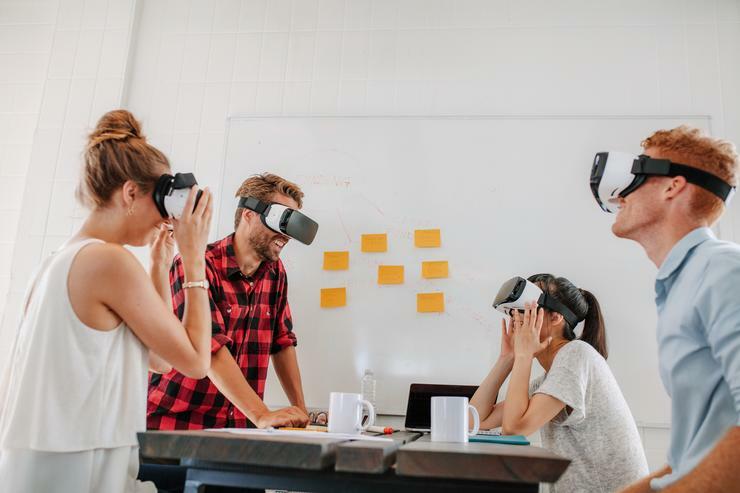 After all, developers play a critical role in today’s mobile society, whether for creating applications for entertainment or addressing efficiency gaps.